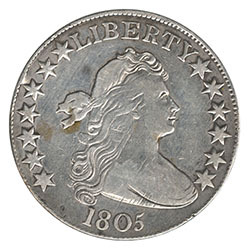 1805 Draped Bust Half Dollar. Details of Very Fine. Cleaned. 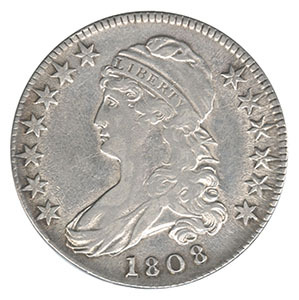 1808 Capped Bust Half Dollar. Details of Extremely Fine. Cleaned. 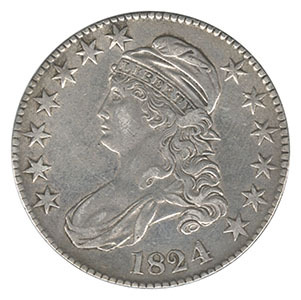 1824/4 Capped Bust Half Dollar. Very Fine. 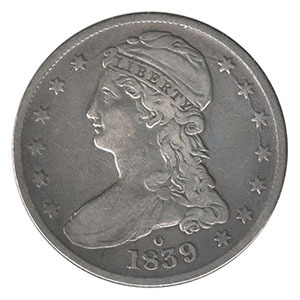 1834 Capped Bust Half Dollar. Small Date and Letters. Details of Extremely Fine. Cleaned. 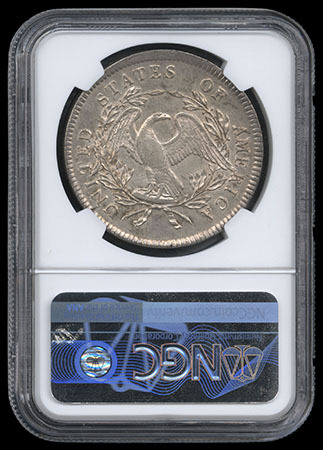 1839-O Capped Bust Half Dollar. 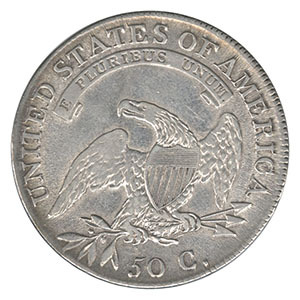 Fine and Scarce. 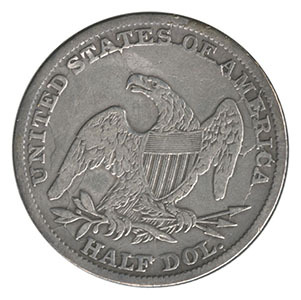 1842-76 Seated Half Dollars. Lot of 9 including 1876-CC scratched, generally Good-XF. 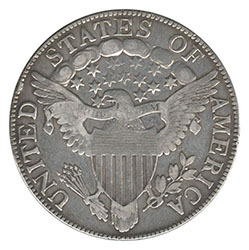 1870 Liberty Seated Half Dollar. 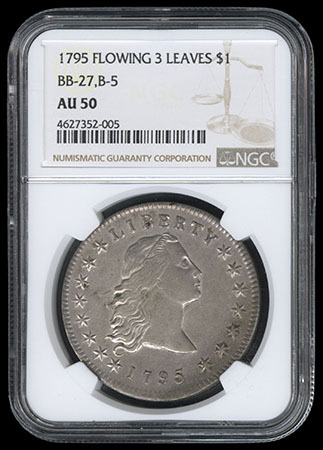 Details of About Uncirculated. Cleaned. 1897-1964 Silver Half Dollars. Fine to Very Fine. Lot of 14.